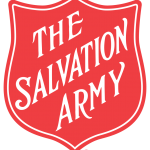 The Salvation Army is an international Christian organization that began its work in Canada in 1882 and has grown to become the largest non-governmental direct provider of social services in the country. The Salvation Army gives hope and support to vulnerable people today and everyday in 400 communities across Canada and more than 120 countries around the world. The Salvation Army offers practical assistance for children and families, often tending to the basic necessities of life, provides shelter for homeless people and rehabilitation for people who have lost control of their lives to an addiction.